Life has its ups and downs and sometimes we run into situations where we need a little help, some advice. How do we ask for advice in English? 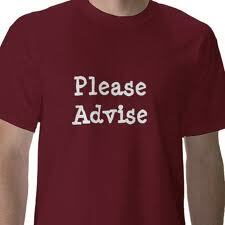 1) You can be direct: I need your advice. I'm afraid to travel by airplane. What do you suggest? Can you offer me any suggestions? Davide didn't have any good advice for me. People give advice and the receiver takes advice, give and take, and remember that it's always better to give advice when someone asks you for it.